Chelsea manager Maurizio Sarri certainly has a unique style when it comes to press conferences. He is so brutally honest that he often does himself no favours. He’s not very diplomatic either, and while his openness is a welcome change, this has lead to problems with fans over the course of the season. The Sky pundits after the West Ham game on Monday night were on hand to discuss what they thought of his style, and they weren’t sure that the club would be too happy. 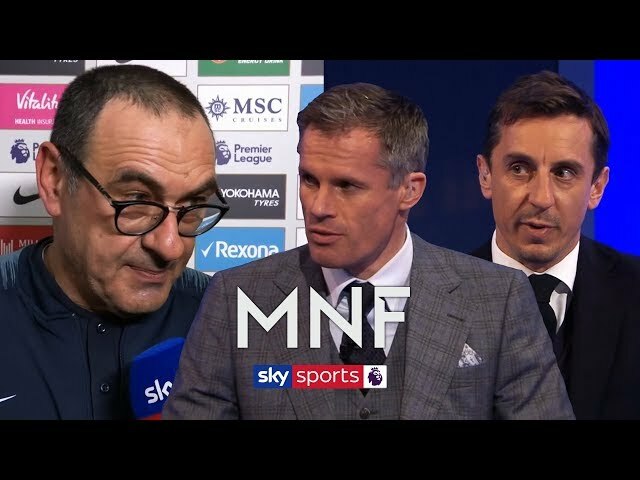 Both Gary Neville and Jamie Carragher agreed that perhaps the hierarchy would want the translator to step in and insist that his words are being twisted.